Five years of Ceramill Sintron - a major benefit for our laboratory! Since its market launch in 2012, over three million units have been fabricated from Ceramill Sintron. More than 2,000 laboratories worldwide process CoCr in green condition. We asked four enthusiastic Ceramill Sintron users to give us insights into their daily laboratory routine with the material and furnace: how they use it, for which indications with which material combinations etc. Last but not least - Matthias Klingner, MDT, from Zahntechnik Klingner, Germany. Since its market launch in 2012, over three million units have been fabricated from Ceramill Sintron. More than 2,000 laboratories worldwide process CoCr in green condition. 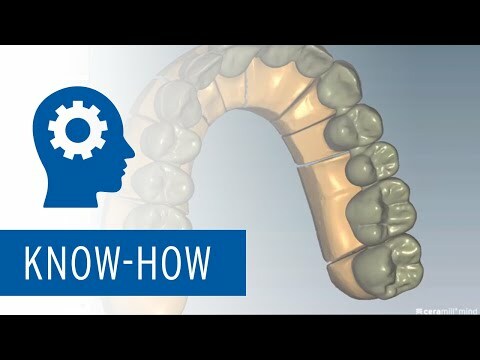 We asked four enthusiastic Ceramill Sintron users to give us insights into their daily laboratory routine with the material and furnace: how they use it, for which indications with which material combinations etc. Third one - Łukasz Sopałowicz, CDT, from Lider-Tech Laboratory, Poland. Ceramill Sintron - indispensable in our laboratory! Since its market launch in 2012, over three million units have been fabricated from Ceramill Sintron. More than 2,000 laboratories worldwide process CoCr in green condition. We asked four enthusiastic Ceramill Sintron users to give us insights into their daily laboratory routine with the material and furnace: how they use it, for which indications with which material combinations etc. Second one – Jörg Schönthal, CDT, from Dentaltechnik Dr. Lerner, Germany. Ceramill Sintron and Zolid FX Multilayer – a perfect symbiosis! Since its market launch in 2012, over three million units have been fabricated from Ceramill Sintron. More than 2,000 laboratories worldwide process CoCr in green condition. We asked four enthusiastic Ceramill Sintron users to give us insights into their daily laboratory routine with the material and furnace: how they use it, for which indications with which material combinations etc. First one – Lindauer Zahntechnik GmbH from Germany.